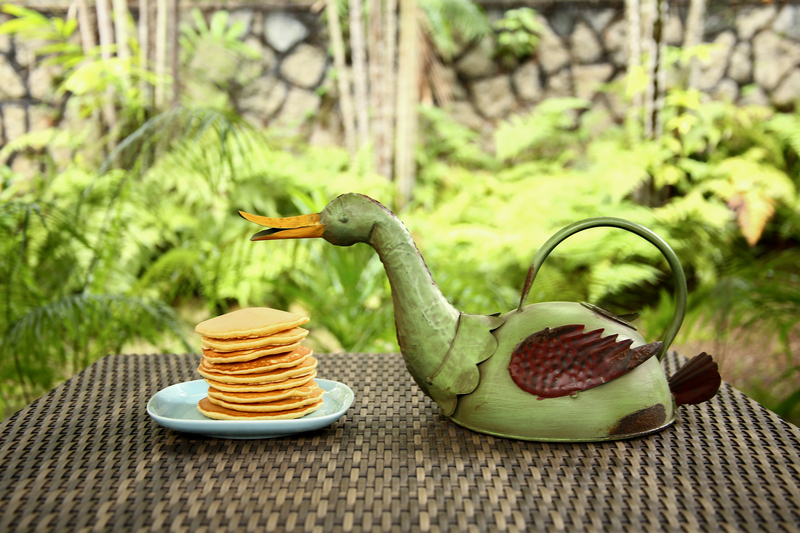 The search for a recipe for fluffy soft pancakes is over!!! After trying many different pancake recipes, including one from Nigella Lawson, and failing, I was convinced that I could not make pancakes. Until I found this. 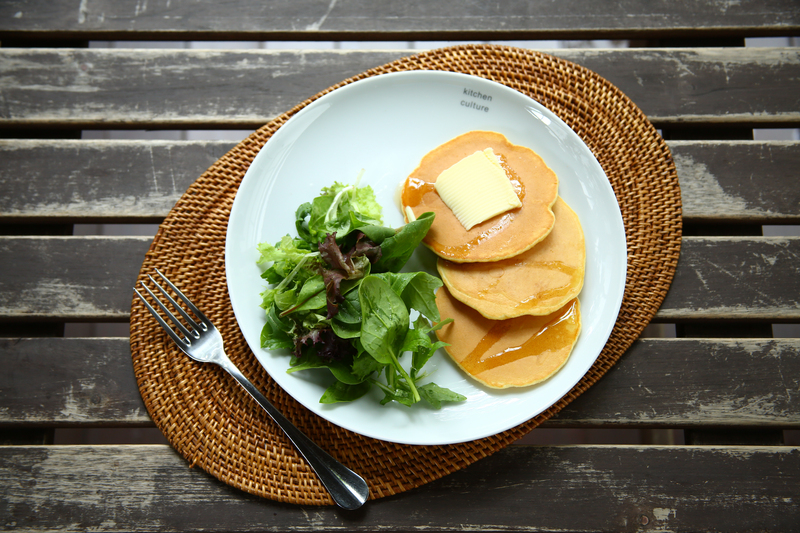 I am more than pleased with this recipe I found on La Fuji Mama because they have reached the standard of Mcdonalds’ hotcakes. The bar which I have set myself because I love Mcdonalds’ hotcakes even though the batter is probably chemical laden. The best part is that this recipe does not need any butter (except the butter on top). Talk about healthy. The ingredients are also found in my pantry which makes these pancakes easy to whip up at the last minute for breakfast or brunch. The catch though is that you have to let the batter rest for at least an hour for the gluten to relax so that you don’t end up with chewy pancakes! A tip to getting perfectly browned pancakes is not to grease your griddle. Also, never turn your pancake twice. Only turn the pancake when bubbles appear on the surface, approx. after 1 minute. Most importantly, ensure that your pan is not too hot because no one wants a burnt uncooked pancake. 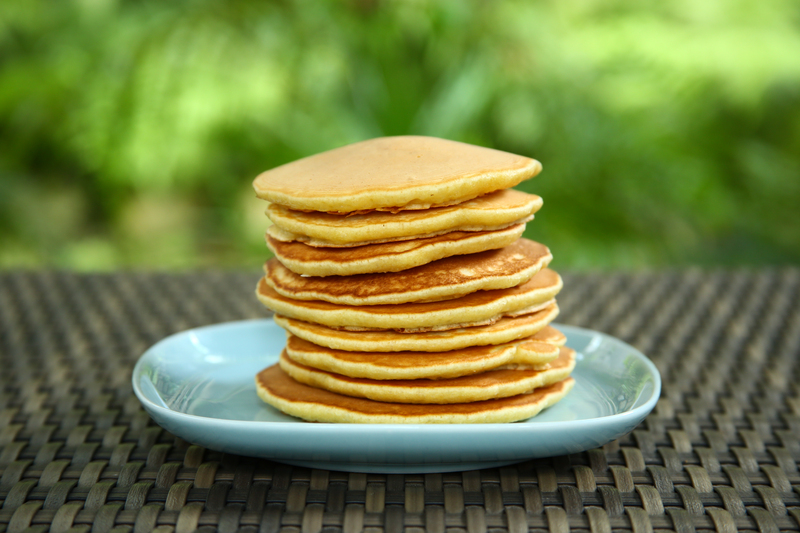 So here’s the idiot proof recipe for soft, fluffy pancakes. There’s no way you can go wrong with this!!! 1. Whisk milk, eggs and vanilla essence with an electric beater for 3 minutes, until foamy. 2. Mix flour, baking powder and sugar together. 3. Fold dry ingredients into wet ingredients. Do not over mix. It is okay to have lumps. 4. Let the batter rest for at least an hour in the fridge. 6. Ladle batter onto the pan according to how big you want your pancake to be. 7. Flip when bubbles appear on surface of pancake. 8. Stack pancakes up after frying to keep them warm.